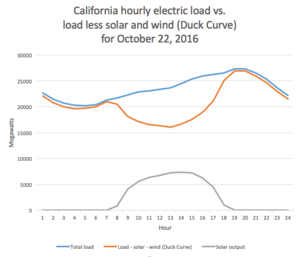 ^ California ISO - Renewables Reporting. www.caiso.com. ^ Wirfs-Brock, Jordan. IE Questions: Why Is California Trying To Behead The Duck?. Inside Energy. 2 October 2014 [29 October 2016]. ^ Charting Hawaii's Spectacular Solar Growth. The Energy Collective. [2015-02-04]. ^ Hawaii’s Solar-Grid Landscape and the ‘Nessie Curve’. 10 February 2014 [10 January 2017].